For information on adding the Self Completion block, see GROK article Self Completion Block. NOTE: You should have already added the Self Completion block. 2. 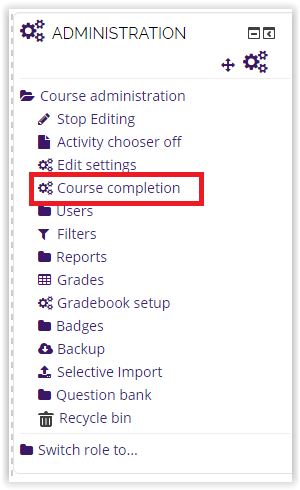 In the Administration block in the left side of the screen, click the Course completion link. 3. Scroll down to Manual Self completion tab and click Enable. 4. When you have the settings how you want them, click Save Changes. 5. Students will now be able to use the Self Completion block.